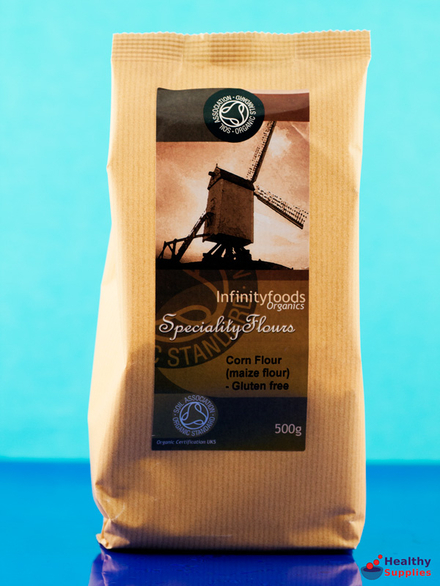 Organic Corn Flour [Maize meal] 500g (Infinity Foods) - HealthySupplies.co.uk. Buy Online. 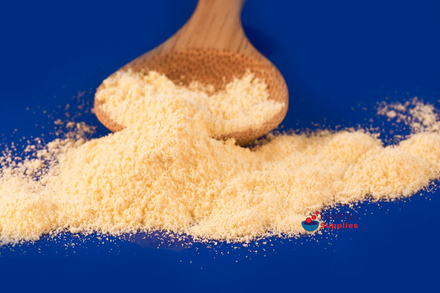 Gluten-free corn flour (maize meal). Organic. Packed in a gluten-free environment. Blend with other gluten-free flours for balanced nutrition. Use to make cakes, pastry and pancakes. This cornmeal or Corn Flour (N.B. this is not corn starch), has been batch tested for gluten and meets the required less the 20ppm as stated by the Food Standards Agency in Great Britain. 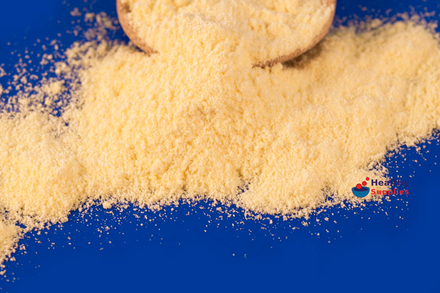 Corn flour can be used to make Tortillas, Corn Bread, pasta, cakes and biscuits. This is a fine flour so if you require a coarser texture for your baking then try using Polenta. 1kg for £3.49 or buy 3 for £3.32 each. Organic • Guaranteed gluten-free • Wheat-free • Vegetarian, Vegan • Dairy-free.